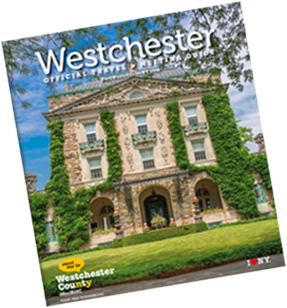 Westchester is bordered on the west by the Hudson River, and nestled along the river are many of the county’s most idyllic towns, villages and cities, all easily accessible by Metro-North Railroad. The Hudson River area has experienced a revival; as former industrial spaces have been converted to mixed residential, commercial, retail and recreational uses that still retain the region’s historic characteristics. Here you’ll find Tarrytown and Sleepy Hollow; unique destinations where visitors can step back in time and immerse themselves in American history. Stay at an acclaimed hotel and enjoy irresistible dining options right on the river at Harvest on Hudson, the Castle Hotel and Spa in Tarrytown, Half Moon in Dobbs Ferry or Red Hat on the River in Irvington.